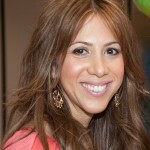 Yalda Miller is a medical marketer with over fourteen years in the medical and biotech industry. Yalda has worked for major pharmaceutical companies such as Baxter International and Gilead Sciences in the US and overseas. She has a strong clinical background in orphan disease states including: Primary Immune Deficiency, Pulmonary Fibrosis, Cystic Fibrosis, Pulmonary Arterial Hypertension, Chronic Granulamatous Disease and Hemophilia. Yalda’s broad range of experience spans strategic planning, drug launches, market research, analytics, advocacy group relations, and thought leader partnership. Yalda’s extensive thought leader development experience includes managing speaker bureaus, national advisory boards and national congress activity. Yalda lives in San Diego.